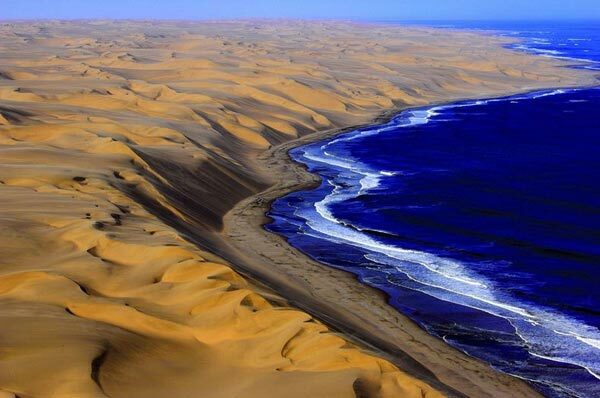 Namibia, where the desert meets the sea! | Great Atmosphere. 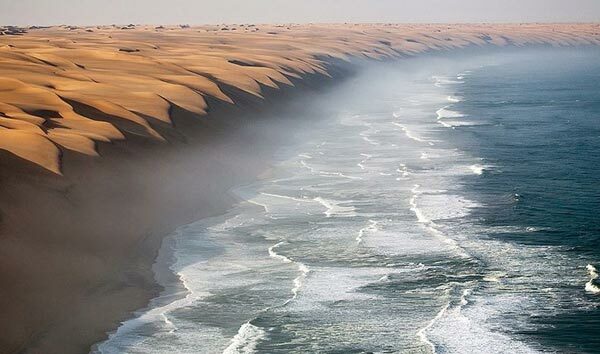 Namibia, where the desert meets the sea! 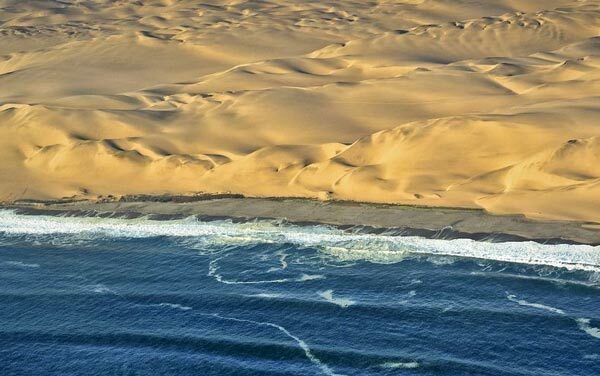 The desert Namibia has some of the highest and most spectacular sand dunes in the world, in some places reaching to the edge of the Atlantic Ocean, creating one of the most surreal sights …! 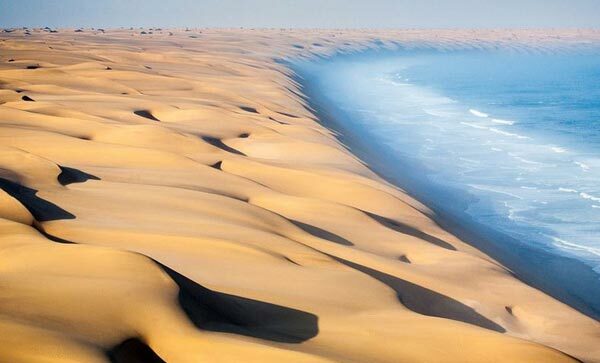 Blonde or orange color of the sand is in stark contrast with the infinite blue of the sea in a picture that takes your breath away. 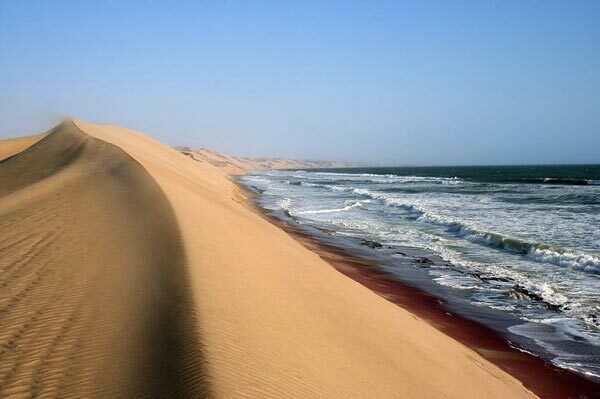 The best vantage point is none other than the town Swakopmund, Namibia, the largest coastal city in the country but also one of the nicest places that crowds gather. The origins of the city are German, while stands the old German neighborhood in the city center, making it even more the contrast observed by the visitor to the landscape. 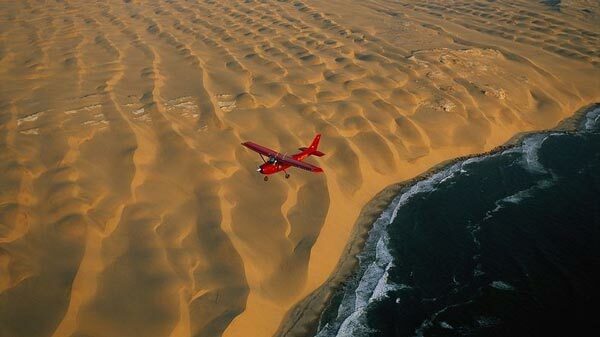 Categories: Nature | Tags: beautiful, desert, destination, escapes, great atmosphere, magic, Namibia, nature, ocean, photo, photography, Photos, places, sand, sea, Travel, vacation, world | Permalink. Really beautiful ! i need to know more about the country if its safe !